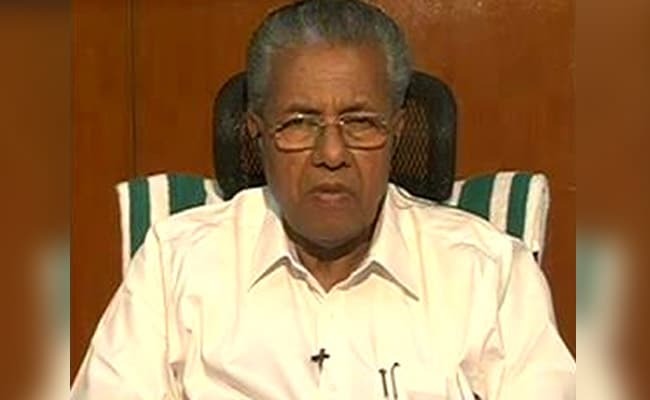 Speaking of the Blue Whale game, Pinarayi Vijayan said: "Only solution to arrest this menace is to ban this game altogether and this can be done only with the help of Union Government," wrote the Chief Minister." Kerala Chief Minister Pinarayi Vijayan called the Blue Whale game "a challenge to the whole society"
Thiruvananthapuram: Kerala Chief Minister Pinarayi Vijayan has written to Prime Minister Narendra Modi, asking the central government to ban the online game Blue Whale that has driven many teens across the world towards suicide. At least one child has allegedly killed themselves in India due to the game too. In his letter to the PM, Mr Vijayan said the state police's cyber wing is making people aware of perils of the game through various channels on the social media. But, "the state government by itself can do very little in this matter. Only solution to arrest this menace is to ban this game altogether and this can be done only with the help of Union Government," wrote the Chief Minister. "The Blue Whale game is a challenge to the whole society and comprehensive action against this from all responsible agencies is of utmost importance," he said in the letter. The Blue Whale game is 50-day challenge that involves its players to receive instructions from an anonymous administrator or 'handler'. The handler instructs the players to cause self-harm, finally leading to suicide. There have been some 100 deaths across the world linked to the deadly game. Inspector General of Police Manoj Abraham, who heads Kerala Police Cyberdome, a nodal agency for cyber policing in Kerala, said: "The blue whale online game that can't be accessed easily. It is accessible in the 'dark net' part of the unregulated internet, with a complicated link shared from peer to peer, leading to the app download, which provides a hacker to access a device." The application is difficult to regulate and aims at young children with symptoms of depression, he added. In India, the game has claimed one teen's life. A schoolboy in Mumbai posted what he called his "last picture" on Instagram before jumping off a building in the Andheri suburb. Hours after that, a businessman's 14-year-old son was rescued in a bus after he left his home in Maharashtra's Solapur allegedly to complete a "Blue Whale" task. "He was on his way to complete a task in the challenge," said a police officer, noting that the boy appeared "lost" and was silent when he was found. Another 13-year-old boy was rescued by his friends when he had tried to jump off a school building in Indore while playing this game.